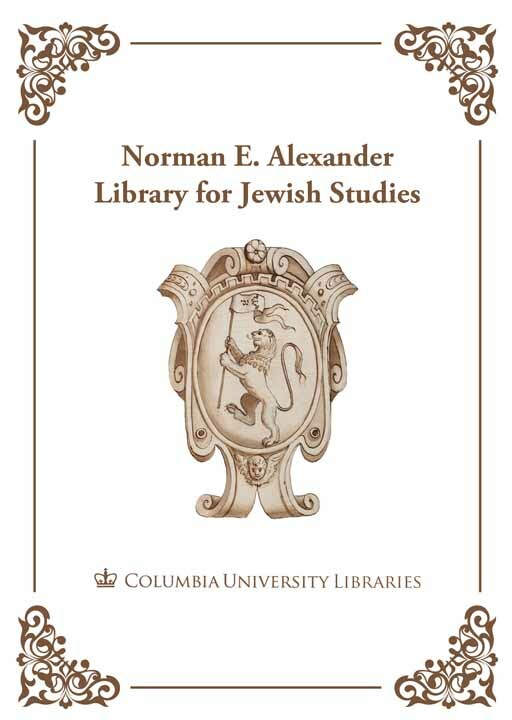 The wonderful thing about Columbia’s rare Judaica collection is that there is so much yet to be discovered – and rediscovered! A brief foray into the RBML rare stacks always yields wonderful stories. A couple of weeks ago, I began looking at some of the very largest rare Hebrew books, trying to see if any of them contained clues to the collection’s history. 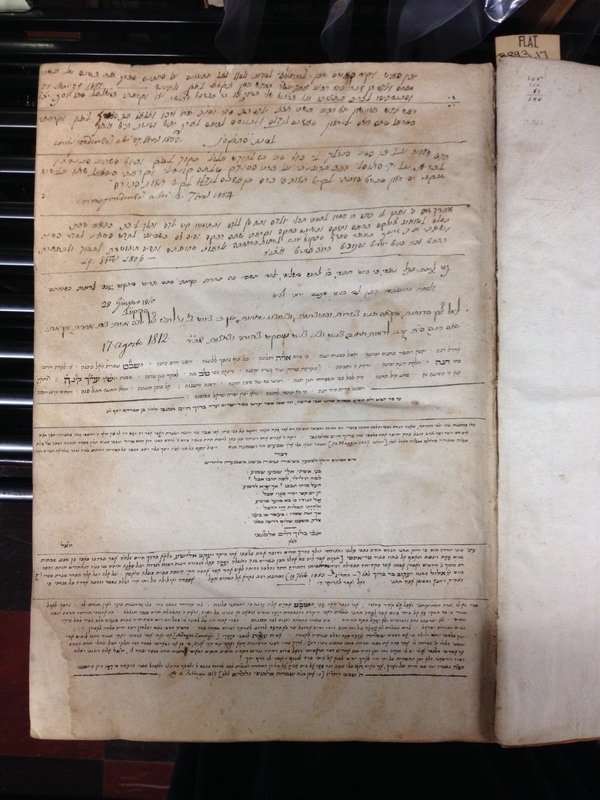 Opening a Mahzor (Call number: B893.17 J68 F, published 1599, Venice), I saw an extensive listing of family history, in what looked like two hands, covering half a century, from 1801-1857. Intrigued, I saved the image, bearing in mind that I’d want to do further research at a later time. “Birth: Giuseppi Al., 25 Marzo, 1801. Rosa Al., 27th Feb., 1802. Ja’qob Elisha Al., 2nd Feb., 1804. Ribhka Al., 19th Feb., 1806. Miriam Al., 28th June, 1810. Hanna Al., 12th August, 1812. Writing of Baruch up to No. 8, who died 12th May, 1837. Joseph (Giuseppi) died a short three years after his mother, in 1860. His collection, of course, lives long after him. 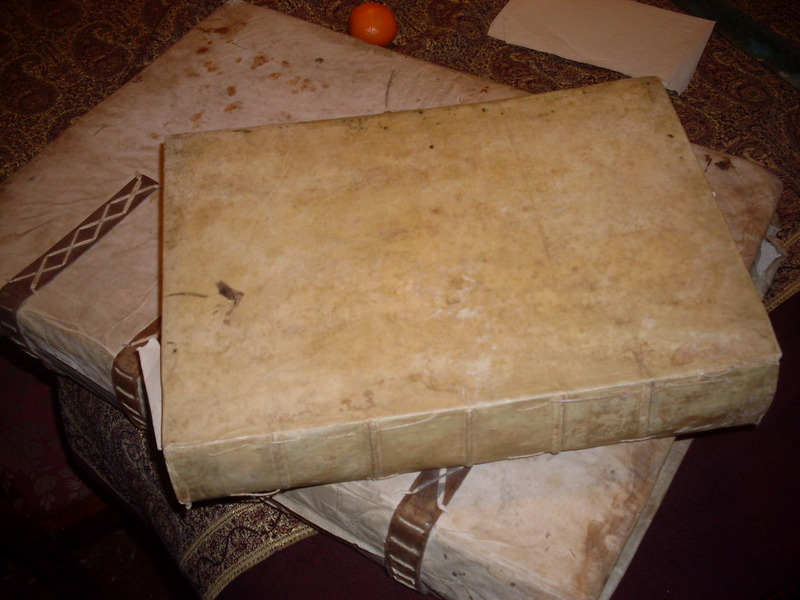 This entry was posted in Uncategorized and tagged Collection_history, Primary Sources, Rare_Books, RBML on February 15, 2016 by Michelle.